I am a Lecturer in Shakespeare and Early Modern Drama, based at the Shakespeare Institute and the Department of English Literature. I research the drama of Shakespeare and his contemporaries, especially in relation to their original conditions of production. My first major research project examined responses to music in Jacobean drama, published in 2017 by Cambridge University Press as Musical Response in the Early Modern Playhouse, 1603-1625. I have written various shorter pieces on music and early modern drama for journals including Shakespeare Survey (2014) and edited collections including Shakespeare, Music and Performance (CUP, 2017). Above all, I’m interested in the ways in which people encountered musical performance – particularly in the playhouse – in the sixteenth and seventeenth centuries, especially those people for whom music was neither a profession nor a field of study, but rather an everyday cultural experience. I am currently working on a study of early modern theatre audiences, specifically concerned with the roles of judgement and pleasure in playhouse responses before 1642. This research was supported by the Leverhulme Trust (2014-17), and will ultimately take the form of a monograph provisionally entitled ‘Experiencing Shakespeare’s theatres: playgoing, pleasure and judgement in early modern England’. Shorter pieces emerging from the project consider playgoers’ interest in actorly skill (Shakespeare Survey, 2017), the intersection of dramatic consumption in performance and in print, and playgoer engagements with stage spectacle. The project has allowed me to think more broadly about some of the questions about theatrical experience asked with specific reference to music in my last project, as well as enabling me to continue wrestling with the vexed but important question of how best to embed understandings of the material conditions under which early modern drama was produced and consumed into close readings of the plays themselves. All of my work is informed by a strong interest in sensory studies; this is a field in which I collaborate regularly, having organised a conference (2011) and a Shakespeare Association of America seminar (2016) on the senses, and edited The Senses in Early Modern England, 1558-1660 (MUP, 2015) with Jackie Watson and Amy Kenny. I am currently preparing an article on the taste and smell of early modern music that follows on from my contribution to a Folger Shakespeare Library seminar on ‘The Embodied Senses’ in 2017, and I am editing a collection of essays exploring the intersection of Shakespeare studies and sensory studies. I put my research into practice whenever possible by providing historical music research, arrangement and direction for productions of plays by Shakespeare and his contemporaries. 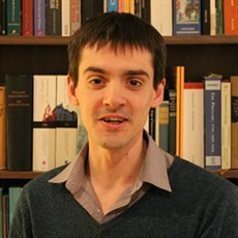 As Early Modern Music Research Associate of Shakespeare’s Globe I have contributed to the design of – and practical experiments in – the new Sam Wanamaker Playhouse, and provided historical music research for various productions including 'Original Practices' stagings of Richard III and Twelfth Night. As a musical director I have collaborated several times with Emma Whipday (UCL) on research productions of early modern plays and masques, including one performance from actors' parts. I have also provided music research and arrangement for a fistful of 'Read Not Dead' staged readings at Shakespeare's Globe, most recently for Thomas Jordan's Tricks of Youth, chosen for performance by public vote following a pitch by director Nicola Pollard and myself in the Sam Wanamaker Playhouse in 2015. In 2014, I provided historical music research and historical theatre research for the BBC adaptation of Wolf Hall.